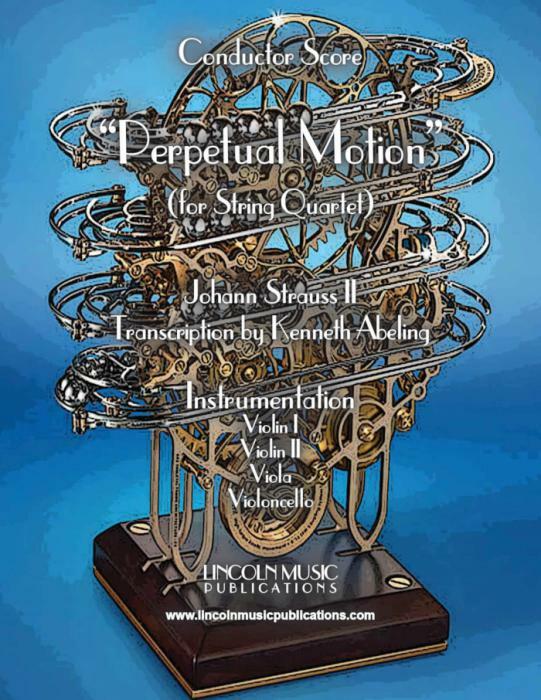 Perpetual Motion by Johann Strauss II, transcribed here for String Quartet. This is an easier advanced to advanced transcription of Strauss’ version of the title. This somewhat overlooked piece is “comedic” in nature, challenging but lays well, a lot of fun to play and makes a great encore selection.